Dentures are prosthetic teeth and gums that sit in your mouth to replace your natural teeth. Dentures come in two forms. You cannot remove permanent dentures, and they are typically designed for the entire mouth. Partial dentures are removable and are designed for people who still have some of their natural teeth. 1. What type of denture is right for you? The answer is straightforward and depends on how many teeth you have left. If you have only a few teeth, you might be better off having them pulled and getting a complete permanent denture fitted in your mouth. If you don’t have many teeth, the process is easier since the remaining teeth can be pulled with minimal pain. If you have close to or more than half of your natural teeth left, you are better off going with the partial dentures. They will cover up the missing teeth, and you do not have to deal with the tooth removal process. 2. How long do permanent dentures last? Dentures last for a long time, but permanent dentures are more durable and can last a lifetime. A dentist will need to check your dentures time to time. If you go for your regular dental exams, your dentist will tell you if your dentures need adjustment. 3. How do you maintain your dentures? Cleaning regular dentures is quite easy. Take them out at night and put them in a glass of water containing a mild cleaning agent. Permanent dentures can’t be taken out, so you have to brush them like you would brush your regular teeth. Brushing your dentures might feel strange at the beginning, especially since you can’t feel the toothbrush brushing against your teeth and gums. If you have been using your dentures for a while and they lose their color, you can ask your dentist to help clean them. This should not take long at all. 4. How much do dentures cost? The cost of dentures varies depending on the type of dentures and the material used to make them. Since a partial denture uses less material, it costs less than a permanent option. Hybrid implant dentures are top of the line permanent solutions. They combine dentures with porcelain implants, which can get very expensive. However, they are very durable and are worth the price. Putting dentures in your mouth for the first time is a weird feeling because your natural teeth have a nerve connection with the brain. This allows them to communicate with the brain about how hard to chew food. With dentures, there is no communication with the brain, so there is an adjustment period to get used to functioning with them. After a few days, you should be comfortable enough with them that you won’t even think about the dentures in your mouth. Permanent dentures are excellent because they are durable and you do not have to worry about them falling out of your mouth. If you are considering getting permanent dentures, talk to your dentist to learn more about the process. 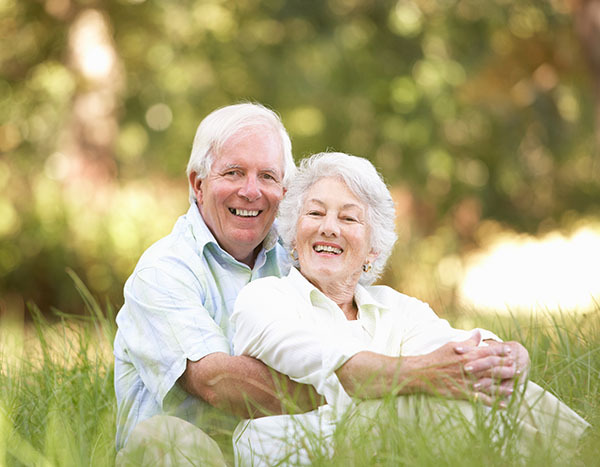 Are you considering permanent dentures in the New Windsor area? Get more permanent dentures information at https://advanceddentalofnewwindsor.com.